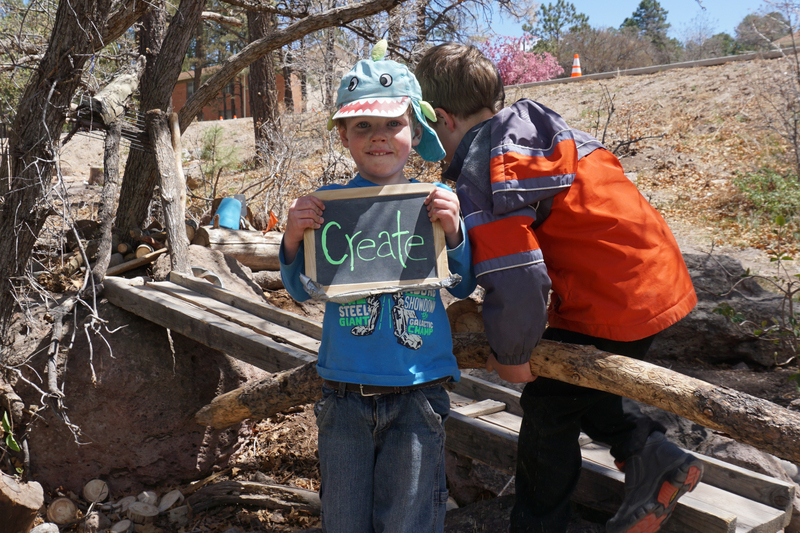 Join the Pajarito Environmental Education Center for its annual Earth Day Festival on Saturday, April 27 at the Los Alamos Nature Center! This will be a fun day of entertainment, food, activities, informational booths, and more. This year's festival will be a zero waste event! We encourage you to bring reusable water bottles, napkins, and utensils to this event, but will be providing recycling and compost stations at the festival. We will have food available from Sirphey and Grandma's Kettle Corn. Recycle Man will perform at 11 AM and 1 PM and have creative instruments for kids to play and enjoy. Wise Fool will perform at noon! Help Roady and Bugsy with their latest mystery, sponsored by LA Network. 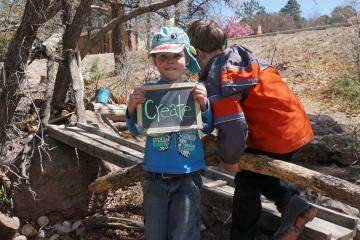 Pick up Passport to the Pajarito Plateau Part III or re-prints of Parts I and II and start hiking! Enjoy activities from local community organizations. Plus, join New Mexico Bank & Trust for a Shred Day from 10 AM to 1 PM during the Earth Day Festival! You can bring two boxes or up to 50 pounds of papers to shred per person. 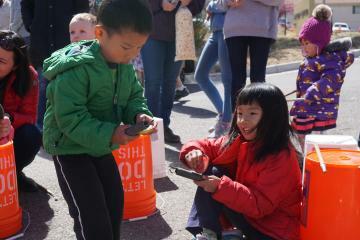 It's free to participate, but New Mexico Bank and Trust will be collecting donations for PEEC's monthly Family Star Parties! Stop by 1475 Central Avenue to participate! There will be no parking available at the event. Walk, bike, or park at the Justice Center (across from the library) and ride the special Atomic City Transit bus straight to the nature center! 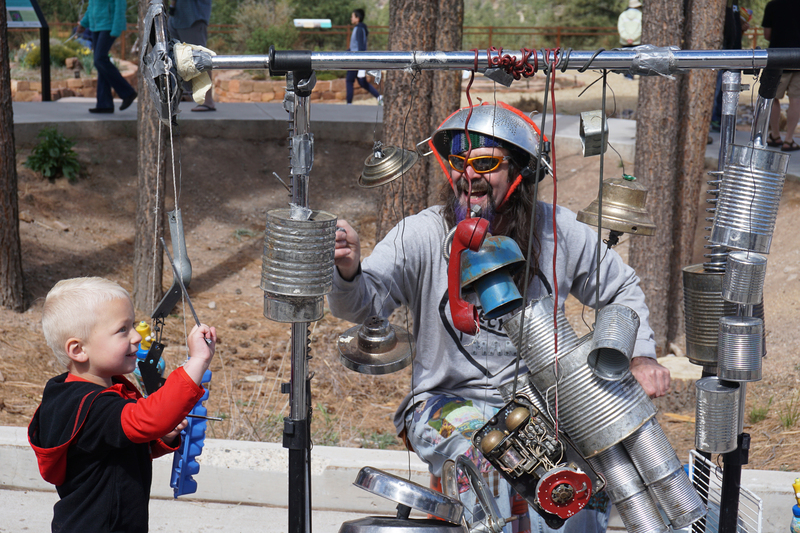 PEEC's annual Earth Day Festival is sponsored by: Los Alamos National Bank, Los Alamos Network, Los Alamos National Laboratory and Los Alamos Mainstreet. This event couldn't be put on without the help from our partners: Los Alamos Environmental Services and Department of Public Utilities, Los Alamos Daily Post, KRSN, Atomic City Transit, UNM-LA, and New Mexico Bank & Trust.